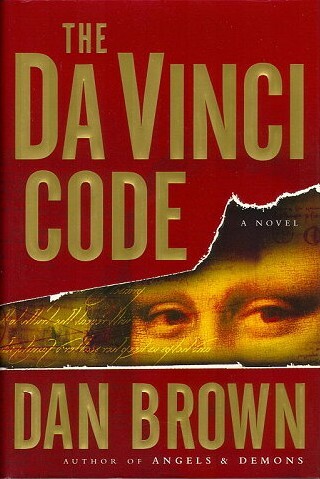 Dan Brown has announced plans to release a young adult version of The Da Vinci Code. How can people expect teenagers to read and write essays on Dickens but think that Dan Brown is too challenging? 7:17 AM – 18 May 2016. Interesting that the tweet above compares Dan Brown with Charles Dickens. In the category of abridged novels, the author Brown has the edge…he has the opportunity to abridge his own work. The author Dickens has not. While some may dispute an attempt to compare their literary work, it is true that both Brown and Dickens have been deemed successful authors. Dan Brown’s Da Vinci Code (2003) has sold 82 million copies worldwide; two of his novels, Angels & Demons (2000), The Da Vinci Code (2003),have been adapted into films; Inferno (2013) is in film production. Charles Dickens had three best-sellers to his name at age 27; he completed dozen major novels, short stories, plays, and several non-fiction books; his performance tour in the United States approximately $95,000. The abridging author selects what may or may not be important in original work in an attempt to recapture the tone and message while making things easier for the reader. There are multiple abridgments of Dickens’s novels and short stories. Like most 19th C writers, he is wordy. His style features multiple subordinate clauses or lists of descriptive elements that strung out sentence length. He also was offered financial incentives for increasing story length. “Oh! But he was a tight-fisted hand at the grind- stone, Scrooge! a squeezing, wrenching, grasping, scraping, clutching, covetous, old sinner! Hard and sharp as flint, from which no steel had ever struck out generous fire; secret, and self-contained, and solitary as an oyster. The cold within him froze his old features, nipped his pointed nose, shriveled his cheek, stiffened his gait; made his eyes red, his thin lips blue and spoke out shrewdly in his grating voice. A frosty rime was on his head, and on his eyebrows, and his wiry chin. He carried his own low temperature always about with him; he iced his office in the dogdays; and didn’t thaw it one degree at Christmas. “External heat and cold had little influence on Scrooge. No warmth could warm, no wintry weather chill him. No wind that blew was bitterer than he, no falling snow was more intent upon its purpose, no pelting rain less open to entreaty. Foul weather didn’t know where to have him. The heaviest rain, and snow, and hail, and sleet, could boast of the advantage over him in only one respect. They often came down handsomely, and Scrooge never did. Both passages were run through readability measures: Flesch-Kincaid, Coleman-Liau Index , SMOG Index, Gunning-Fog Score, Automated Readability Index. Dickens’s original version has 307 words/ 18 sentences/16.5 words per sentence. The passage is written at an 7.8 average grade level. The abridged version or “children’s version” has 64 words/5 sentences/12.8 words per sentence. The passage is written at a 7.2 average grade level. NOTE: There is no statistically significant difference between the original and abridged versions (grade levels 7.8-7.2 ) in readability; the only difference is in the length of the passage. Foul weather didn’t know where to have him (personification). Moreover, they would have missed a critical detail, that it was the blindmen’s dogs, seeking to protect their vulnerable masters from Scrooge, that would tug their masters into the doorways. Dickens himself, who had abridged this particular passage for public readings in the USA, included that small critical detail for a reason. Ironically, when the Common Core State Standards for Reading Literature want to focus attention on author’s style and craft, the students offered an abridged version would have missed how well Dickens crafted his description of Scrooge. “Almost immediately, a heavy fist pounded on Langdon’s door. –The Da Vinci Code. Copyright 2003 by Dan Brown. Random House Publishers. The passage above has 64 words/10 sentences/6.4 words per sentence. 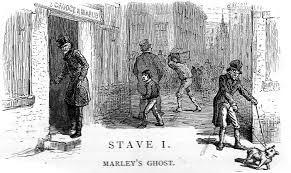 The average grade reading level falls into the range of Dickens; the difference between Brown and Dickens is the number of words in each sentence. The difference again is that student needs to have stamina to read the complexity of Dickens extended sentences. This means that tweets -like the one above criticizing Brown’s writing- are misleading. In the examples above, both authors are writing at roughly the same readability grade level average. Ultimately, Dan Brown will have every opportunity to exercise his authorial voice in choosing what will be modified and what will remain in his abridged version. Given the maturity of some of his subject matter (description of Monsieur Saunière’s corpse; the murders by the monk/assassin Silas), there may be a toning down of the violence for younger audience. Young adult readers, however, have made publishers very aware that their tastes for blood (The Hunger Games, Twilight ) and conspiracy (Divergent) should be appreciated, and Brown may agree. Regardless of what choices Brown makes, the excitement that surrounded the original The Da Vinci Code will not be duplicated. Brown may make his word choices more simple. His abridged book, as with the abridged versions of Dickens’s novels, will be shorter. But, the YA version will not surpass the excitement of the original book The Da Vinci Code. In competing with himself, Brown’s best chance is that his abridged version could be a tie with his original. That is the best any abridged version-Brown or Dickens- could hope to be, a tie. It’s not a loss, but it’s not a win. It’s a kiss…but it’s your sister. Wonderful post! Unfortunately, the YA abridgement is less about modifying for complexity or violence than it is about appealing to shorter attention spans. (I confess that even I don’t have the attention span Dickens sometimes requires.) I am never without an audiobook in my home or car, but I cannot tolerate abridged material because, as you so eloquently demonstrate, so much vivid and carefully crafted language is lost. Brown should have refused to allow the abridgement, but he was probably told that if he didn’t do it, the task would be assumed by someone else. Still, it will be a tough job–if he had thoughts words/paragraphs/scenes could be cut, he would have cut them in the original novel. It’s a rather extreme cases of killing one’s darlings. Yes…if an author wanted fewer words, the author would have written fewer words! And thank you for your last line about killing darlings…I often feel that we kill in trying to make something “easier” for the reader. An interesting analysis. For me, no matter whether it be Dickens or Brown, in my world the most important point is getting kids to enjoy the true entertainment offered by a good storyteller. Dickens and Brown could certainly be compared favorably in that category; I’ve enjoyed multiple stories by both (and am happy to think that I’ve had that “true entertainment” experience)! Agreed…an entertaining story is memorable. I guess it is the goal for the abridged repackaging. If entertainment and increased audience is a goal of an abridged text, the goal to discover an author’s style and purpose are appreciated best with the original. Thank you for taking time to comment!